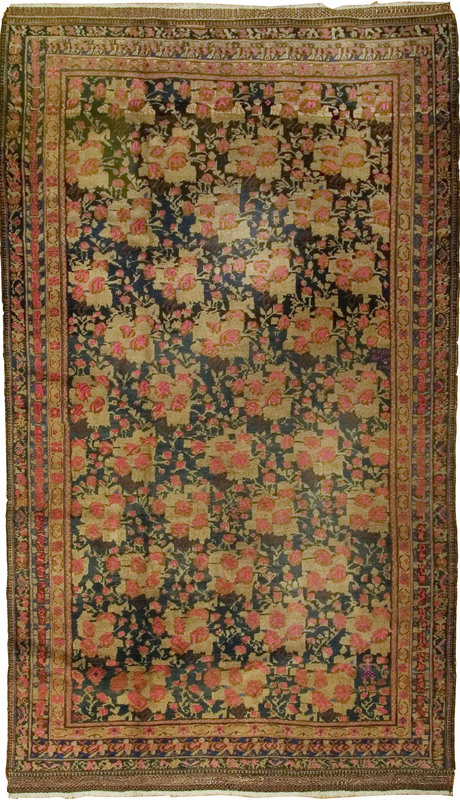 Not a rug type, but Persian for “foreign flower”. It refers to bunches of flowers repeated as an allover field pattern. 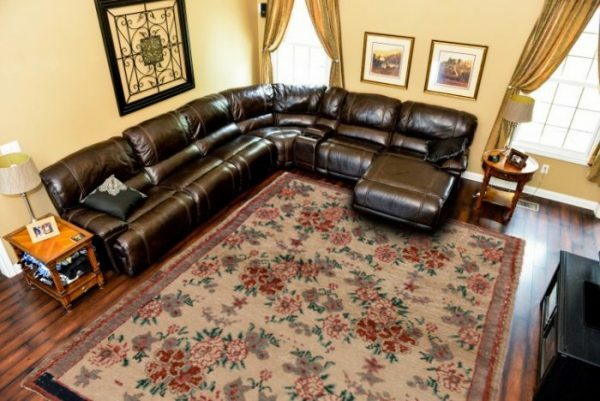 Many types of antique Persian rugs display this design. The pattern is most striking on a navy or ivory background.